Companies strategize about budgeting, advertising, and revenue, but how many strategize about online reputation management? The world wide web is the most likely place that businesses will weaken their reputations because 91% of consumers utilize the internet for information and 88% depend on consumer referrals to buy products or services. Building a reputation is only half the battle as businesses must implement strategic marketing policies to maintain it. Here are five social media errors that you should avoid. Google Alerts is the most efficient way to communicate with unhappy consumers proactively. Every business owner must be attentive to internet tags of your company, executive mentions, industry changes, and replies about product or services. The quicker you address concerns, the better your chances are of mitigating the damage to a business reputation. Consumers have great power online as their comments and shares travel quickly from one social media platform to the next. Even in the most negative circumstances, a courteous interaction will set a high standard for excellence in customer service. Consumers understand the need for a return or a refund, but they will not tolerate negativity which will hurt a reputation quickly when you fail to respect the people who support your business. Even if you have spent much time building the perfect social media presence, your reputation will suffer if you fail to interact regularly. It is critical for business owners to have a reputation management strategy that includes procedures for sharing industry knowledge, advantages of products or services, or outstanding achievements by your employees. The more that consumers know about you, the more loyal they will feel toward your brand. Many businesses know it is essential to brand, but not many of them use social media platforms to build relationships with customers. According to Smart Insights, more than 51% of consumers say they would unfollow a business for posting irrelevant content, and another 27% said they would block and report which will affect your SERP ranking. Taking the time to think about the content you share enables you to enhance reputation management strategies. 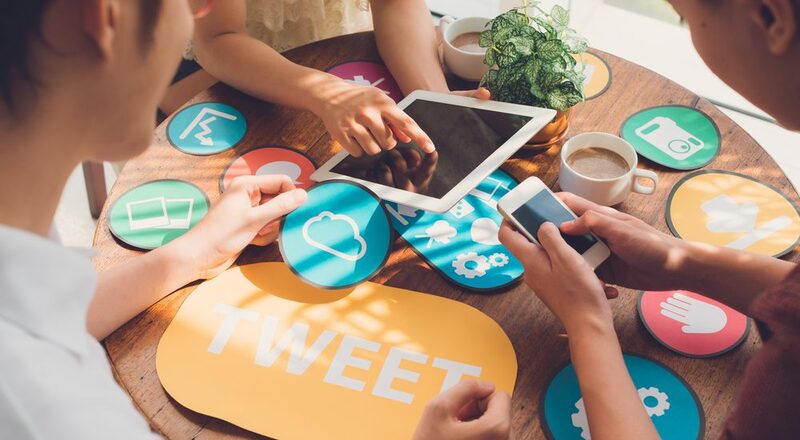 Most business owners put much time into strategy, but social media reputation management requires a different set of procedures because of the uniqueness of their communication method. A small error on your part can cause a severe disruption in online traffic and sales. Any of these errors can become problematic when you do not take the time to address them soon after they occur. Revenue growth and expansion opportunities depend on new consumer attainment which is why businesses should use the internet as an asset instead of a liability to daily operations.